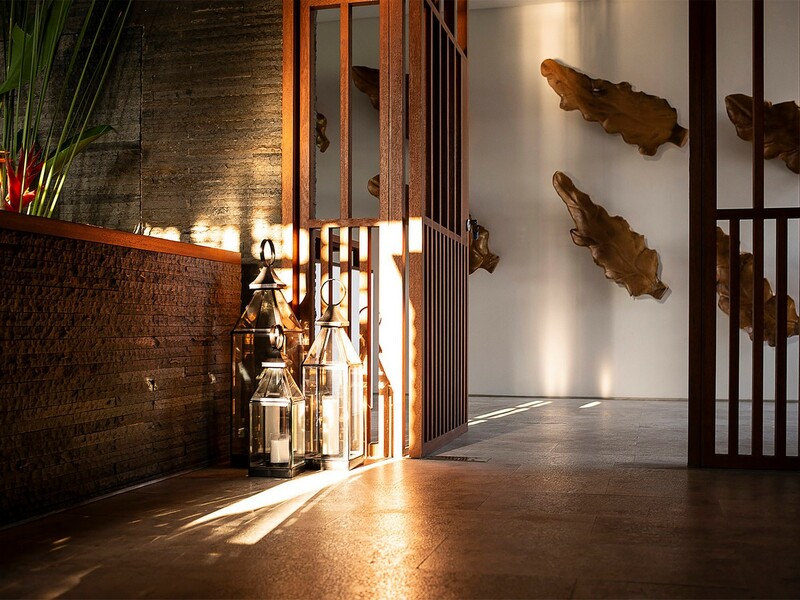 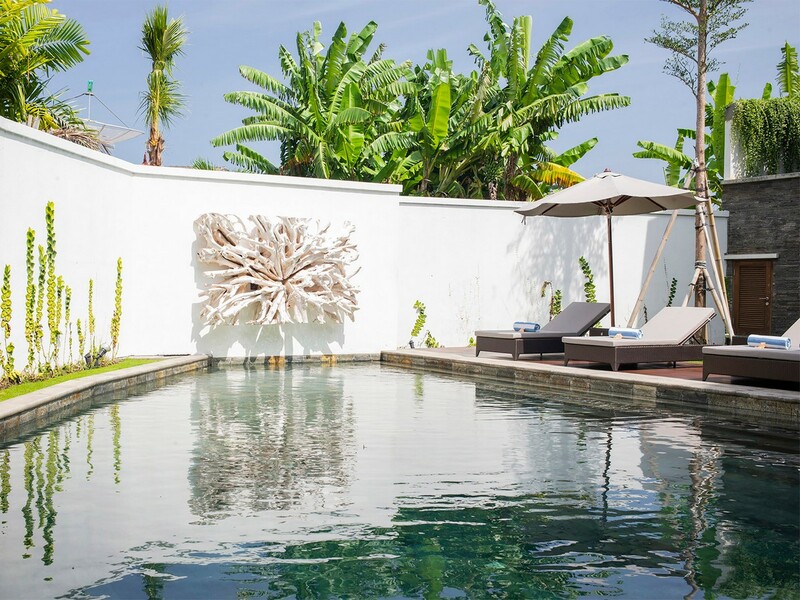 Villa Indrani is well located in a quiet street five minutes’ walk from Berawa Beach, between Seminyak and Canggu, which attracts surfers and sunsets lovers. 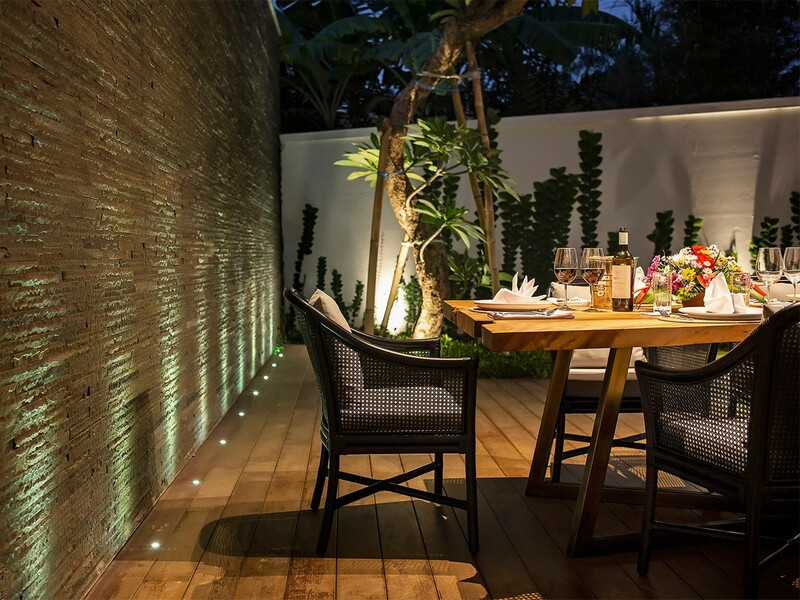 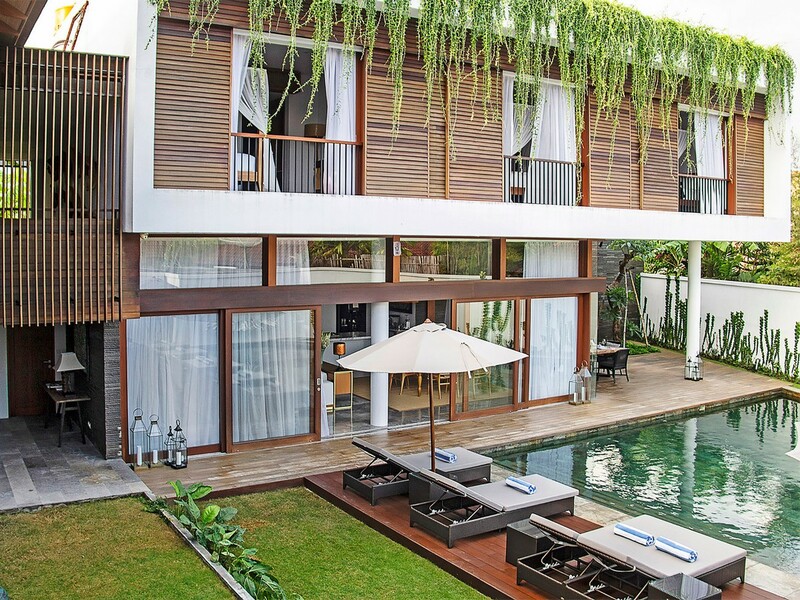 The location of the villa is also very tempting since it is located in a very quiet area, close to the ocean and only a few minutes from Seminyak. 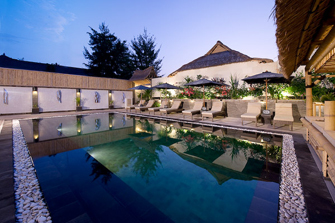 The ideal place where you can find many bars, restaurants and shops that will liven up your holidays. 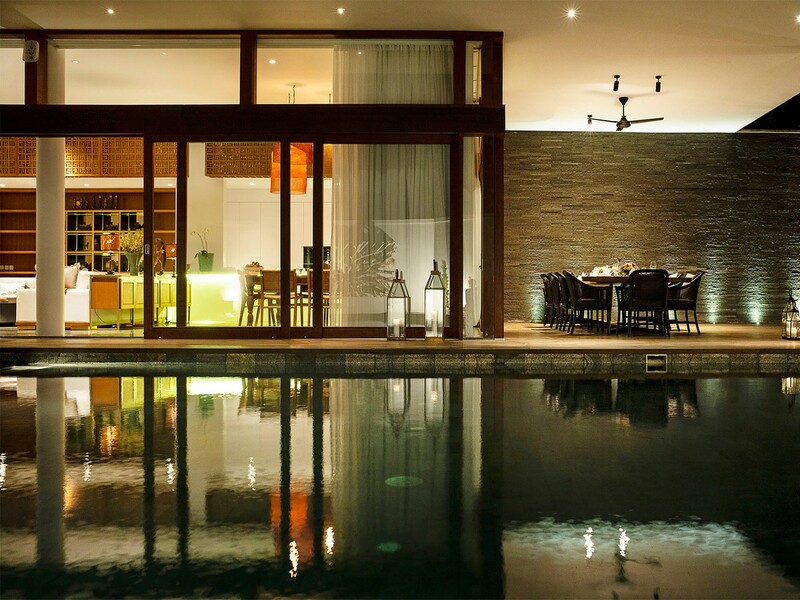 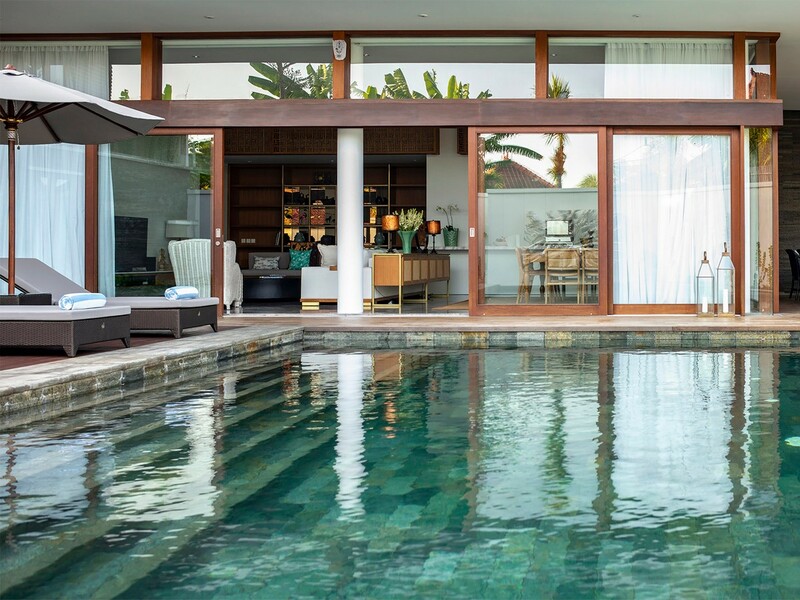 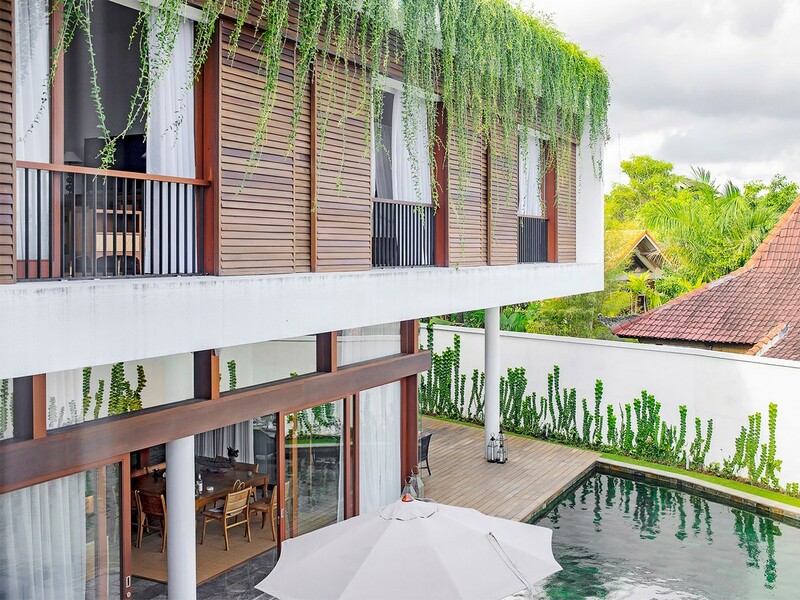 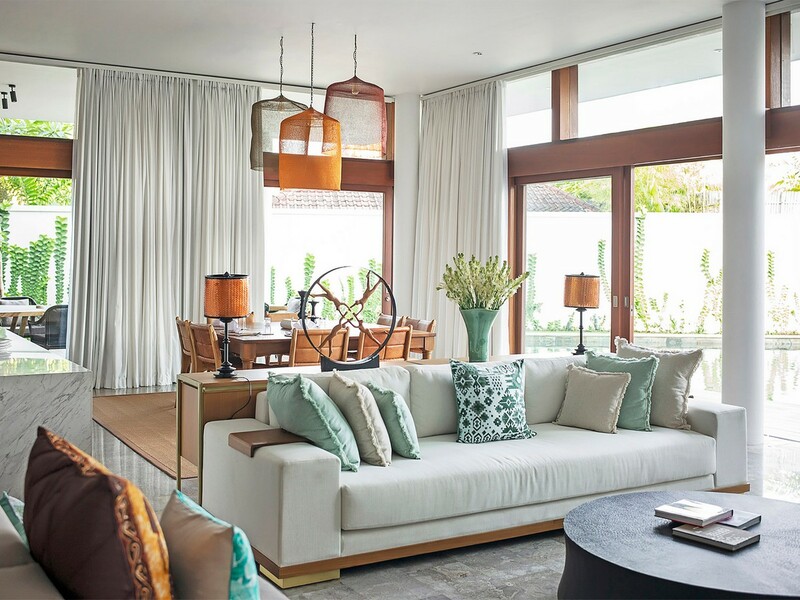 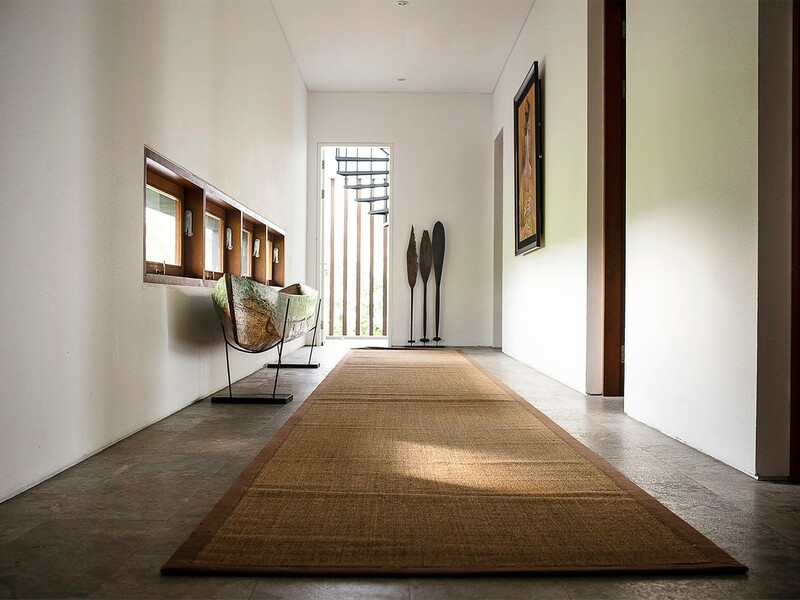 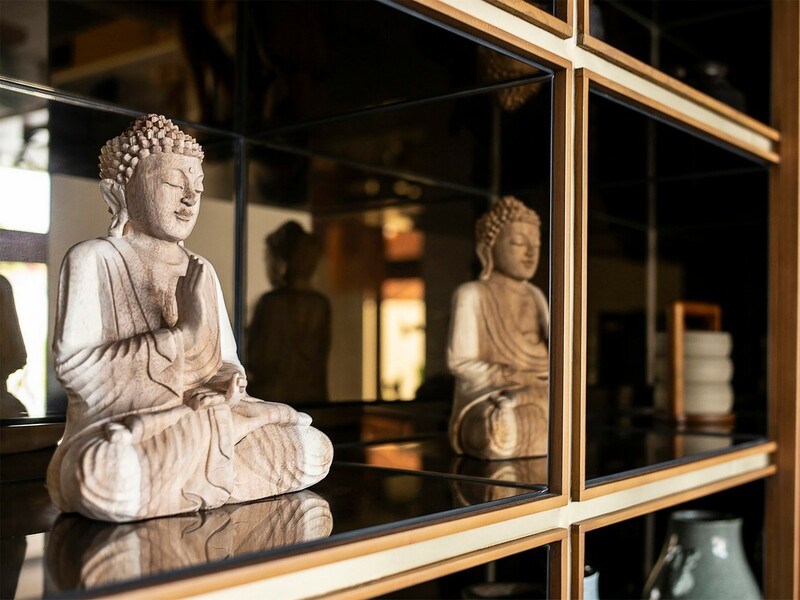 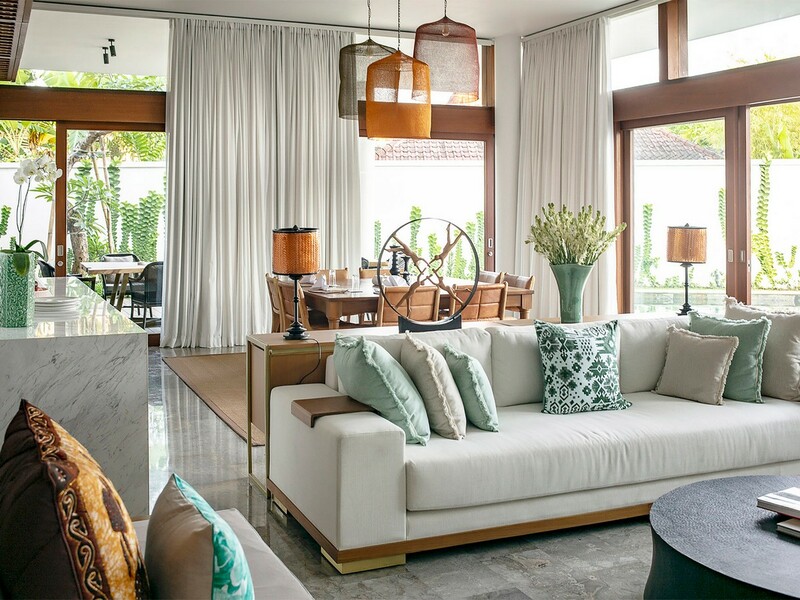 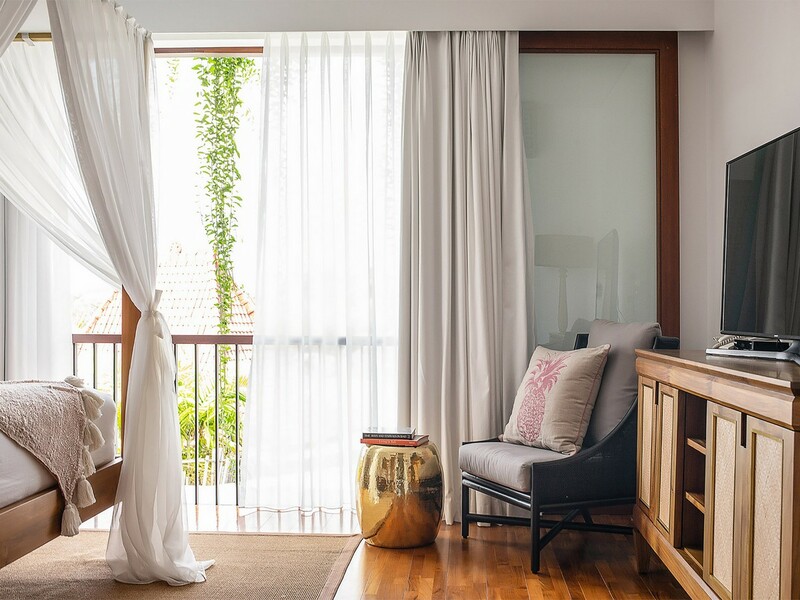 With its large open living areas, a five-bedroom luxury villa in Canggu is ideal for a family with children or a group of friends looking for a chic haven. 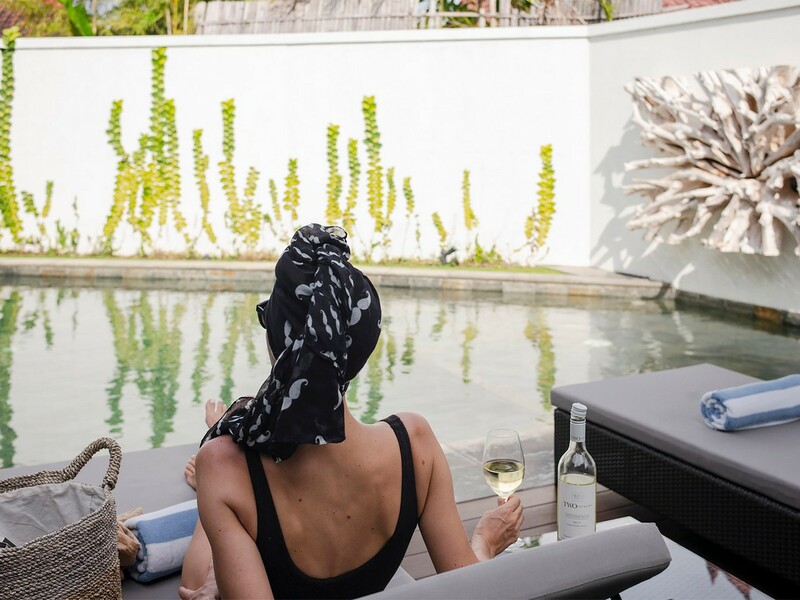 The terrace by the pool is the perfect place to bask in the sun with a cocktail in hand. 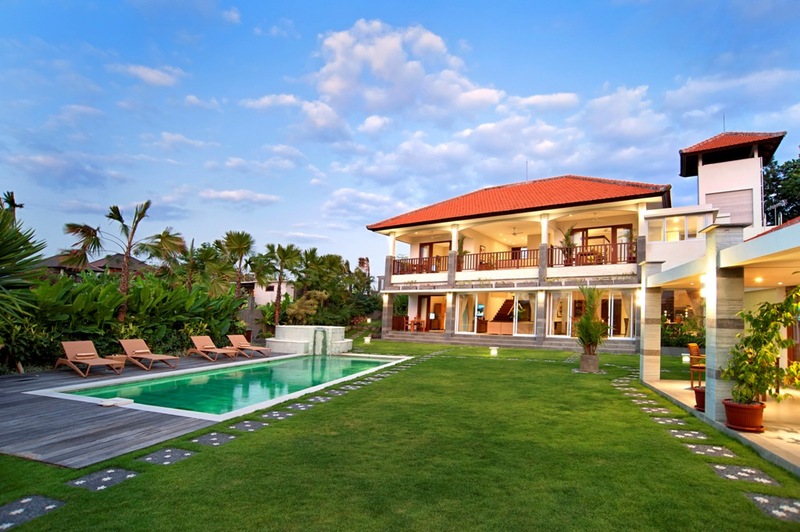 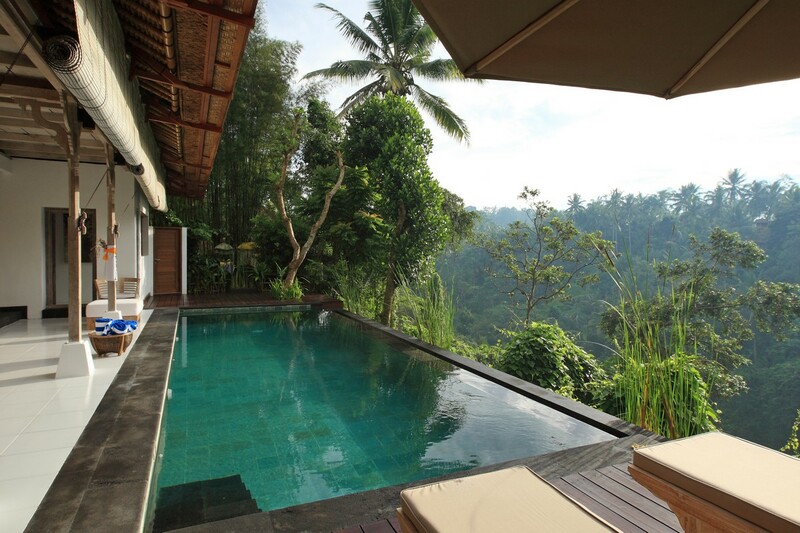 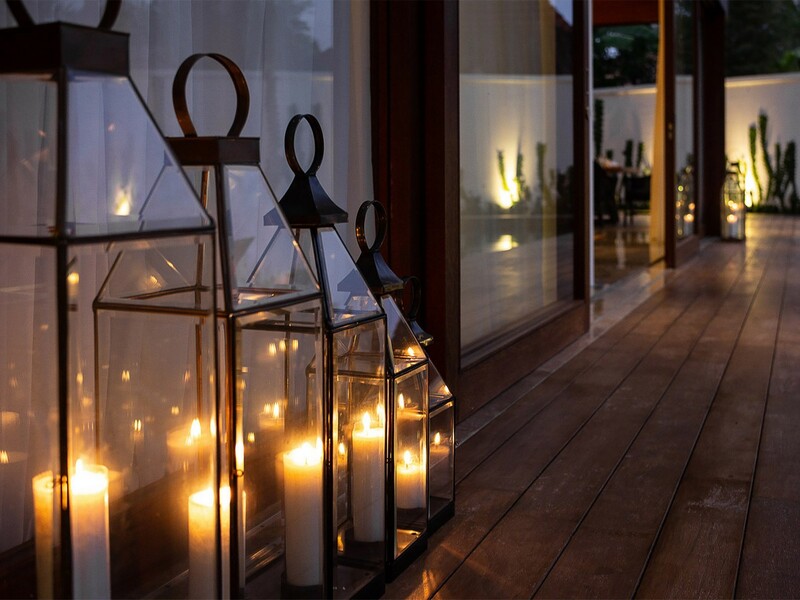 Villa Indrani is built around a garden with a wonderful swimming pool and terrace. 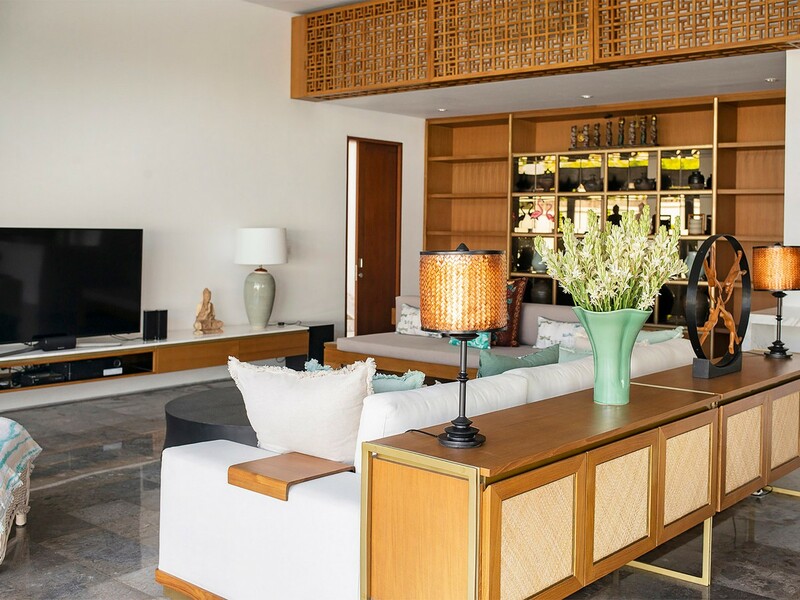 It has two sumptuous master bedrooms, one on the upper and one on the lower floor. 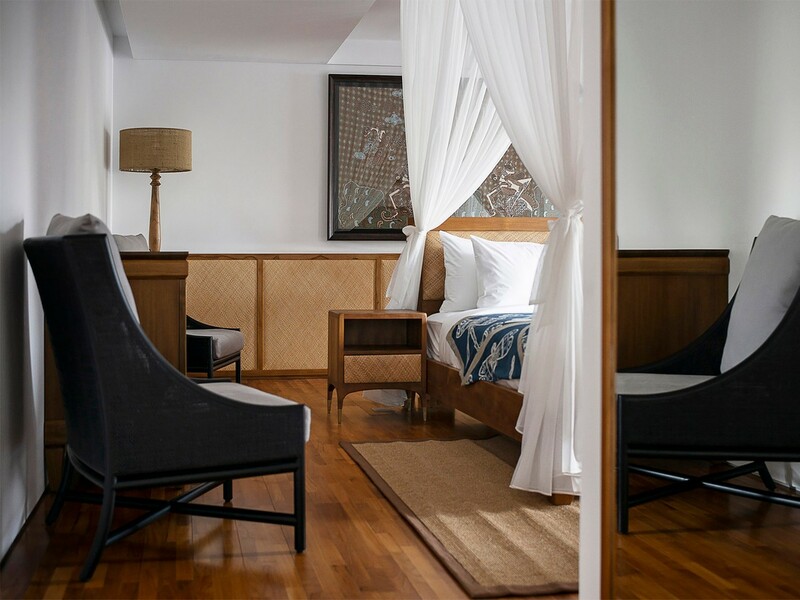 Both have a spacious ensuite bathroom, a huge dressing room and an office area. 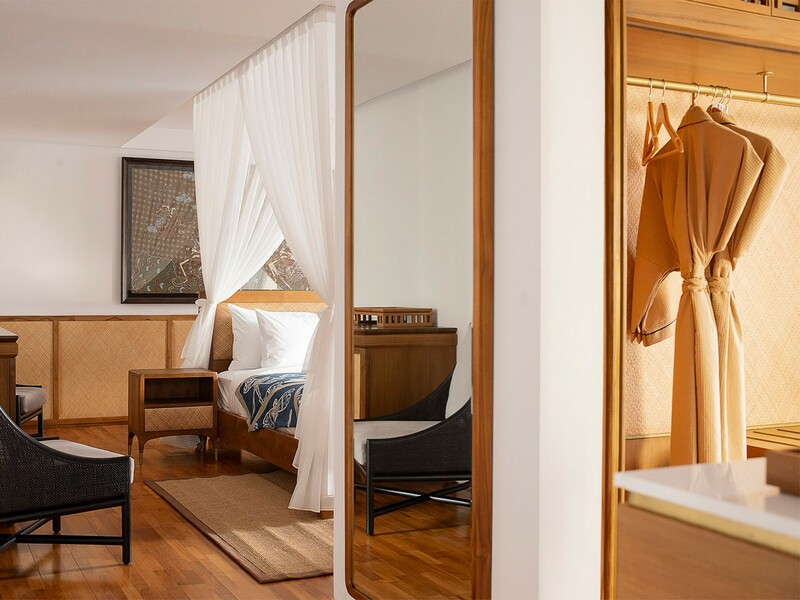 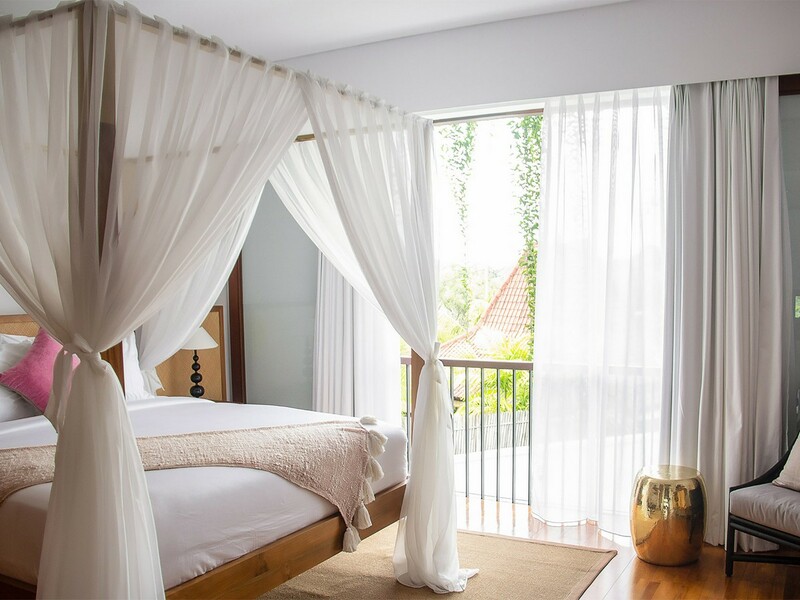 The three guest bedrooms are equally comfortable and also have their ensuite bathroom. 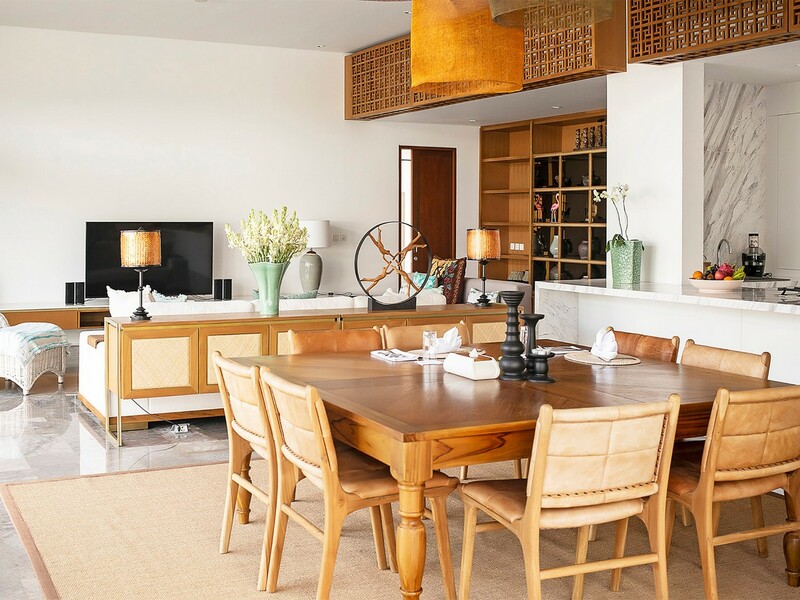 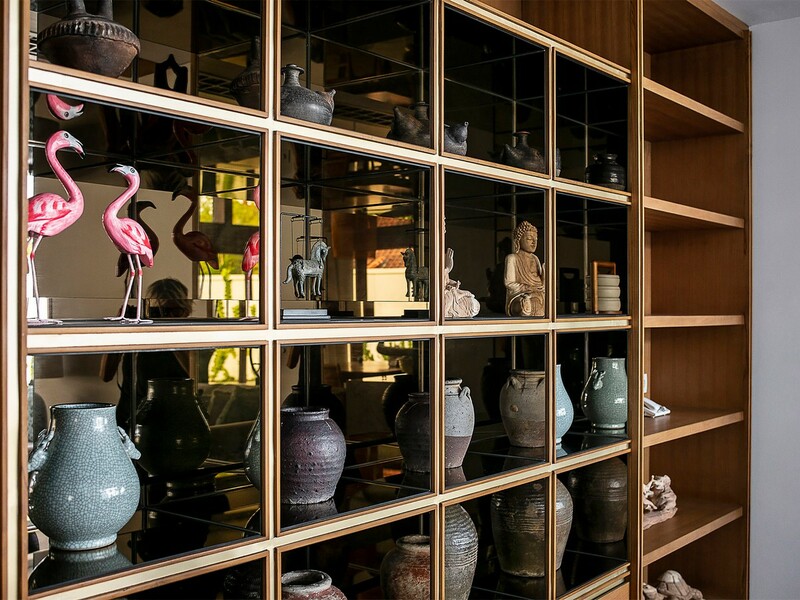 The living and dining designed with minimalist retro style. 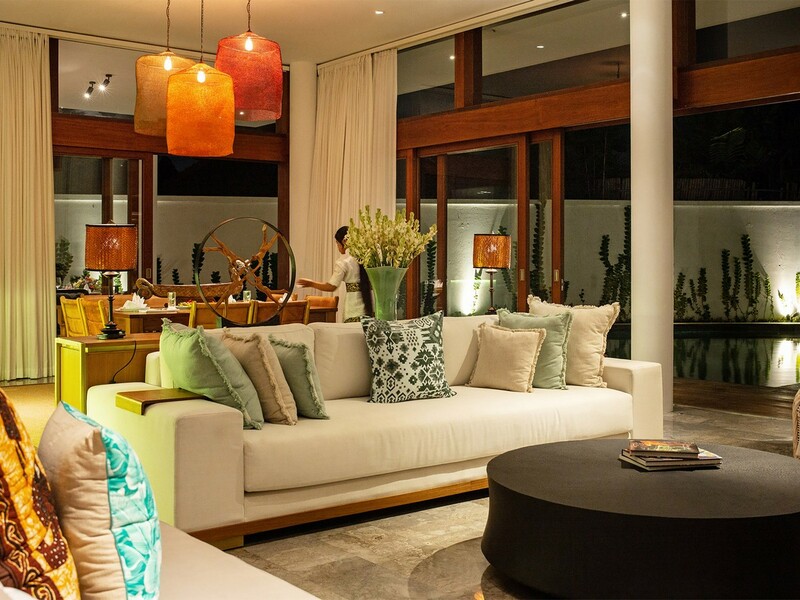 The wooden furniture makes the living room and the dining room a warm and friendly place. 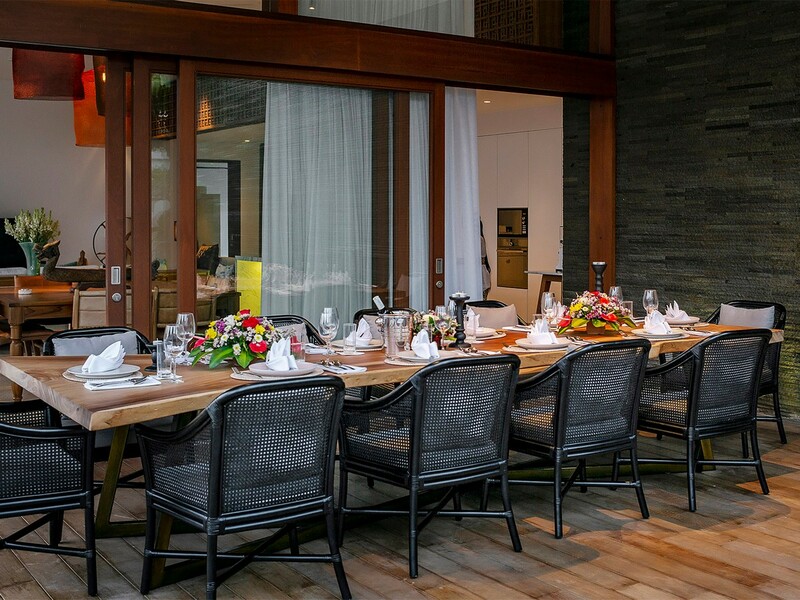 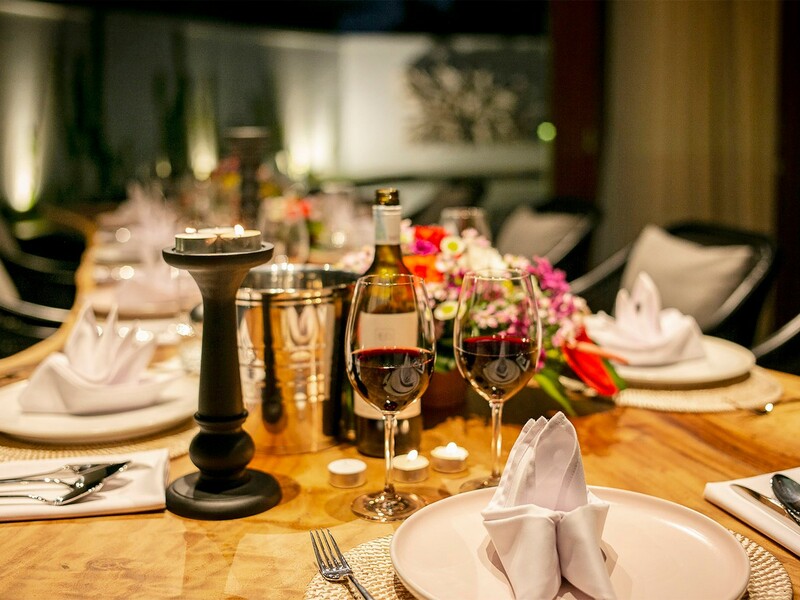 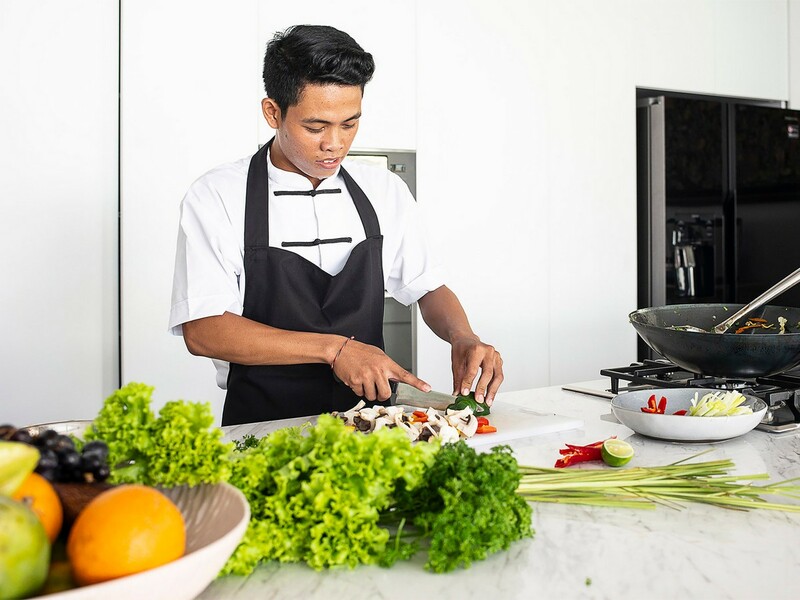 Guest can benefit a fully equipped open kitchen if you want to cook delicious meals for your friends or family, or simply ask our private chef and butler to cook our authentic asian dish, manus and special request can be arranged easily by us. 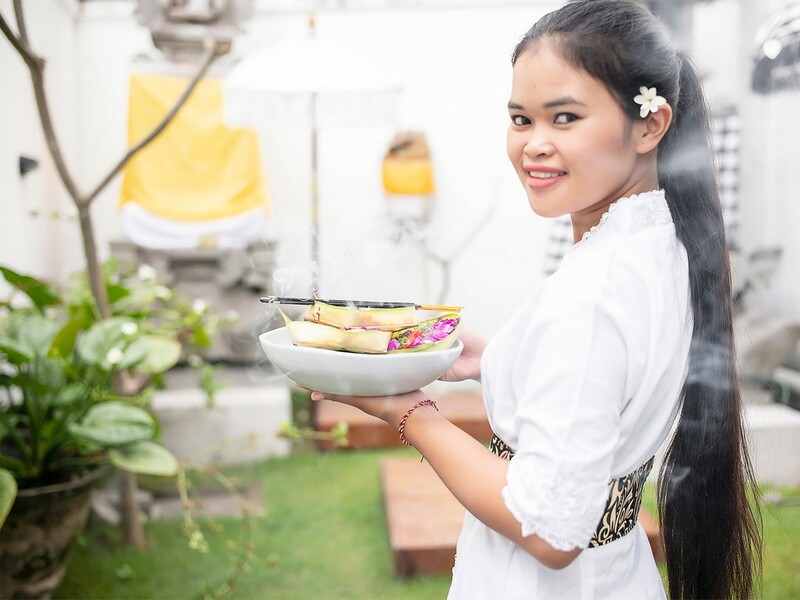 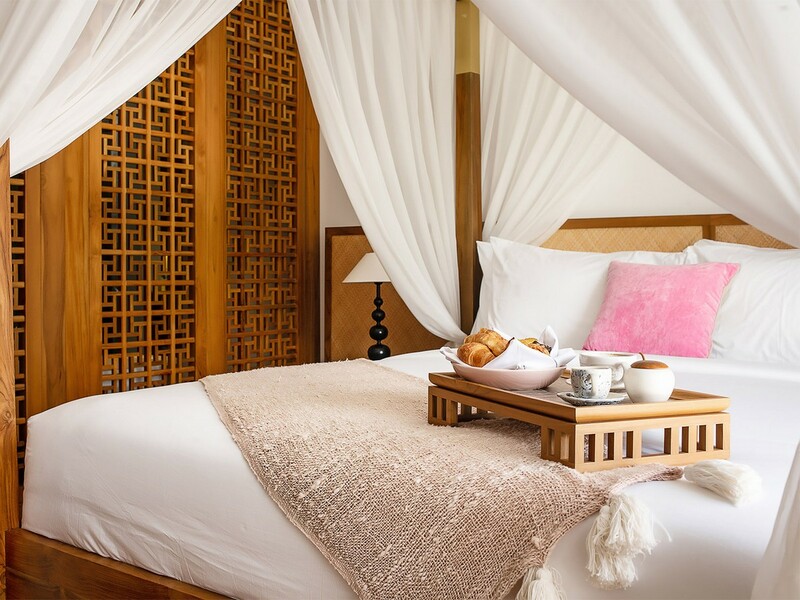 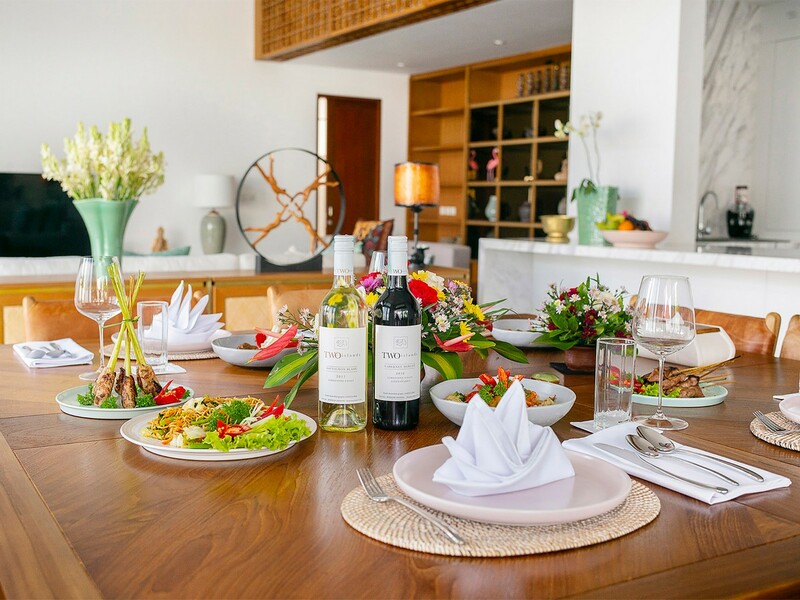 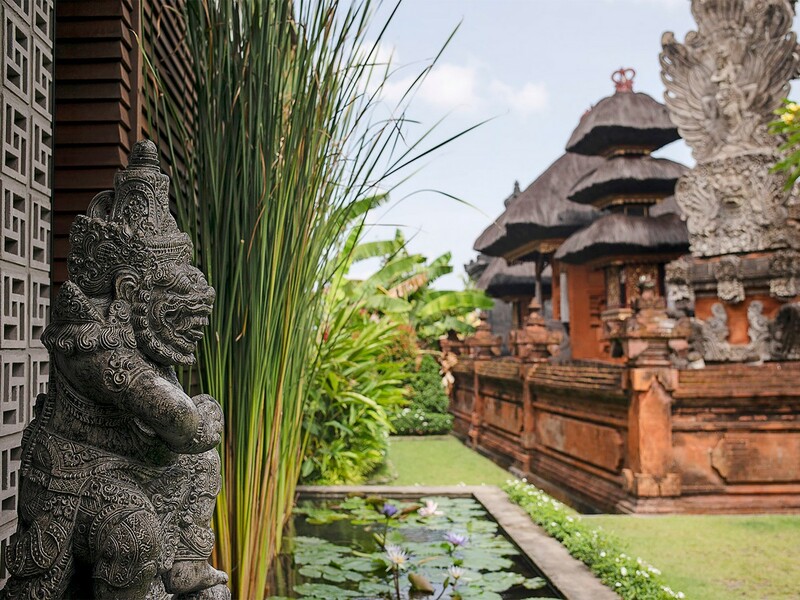 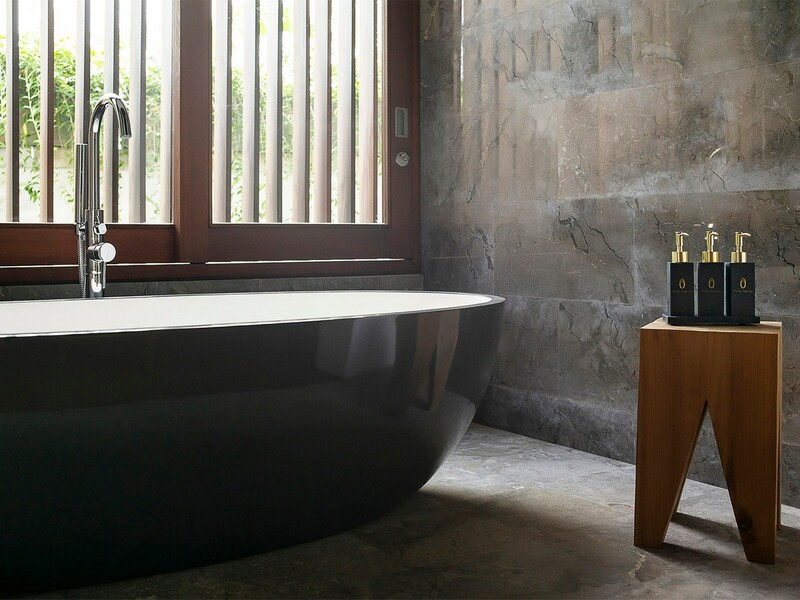 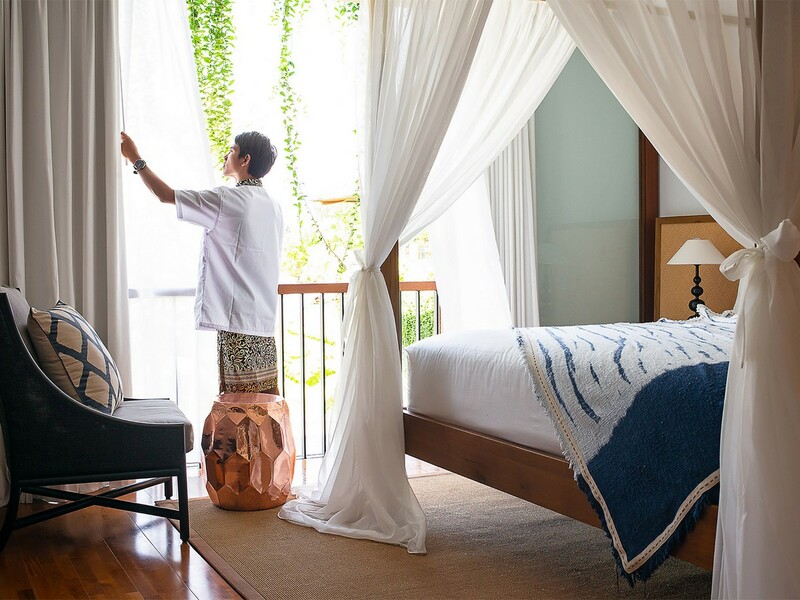 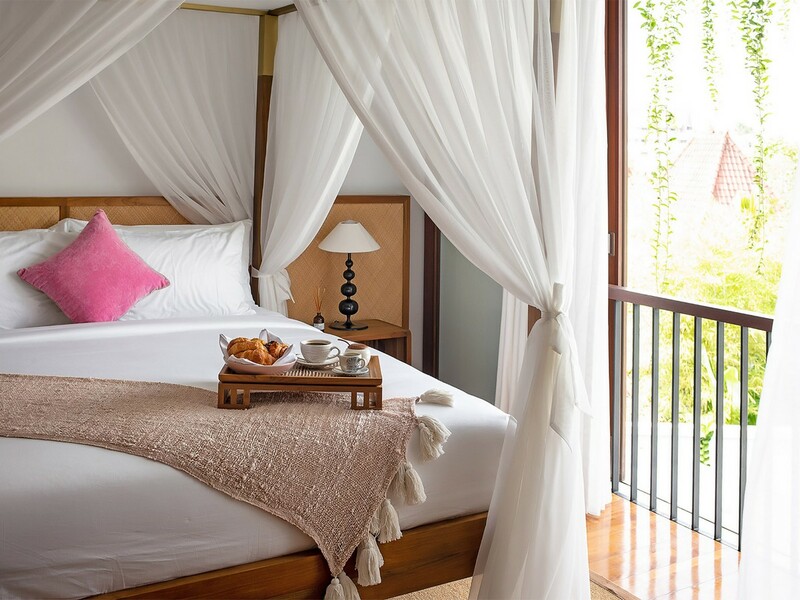 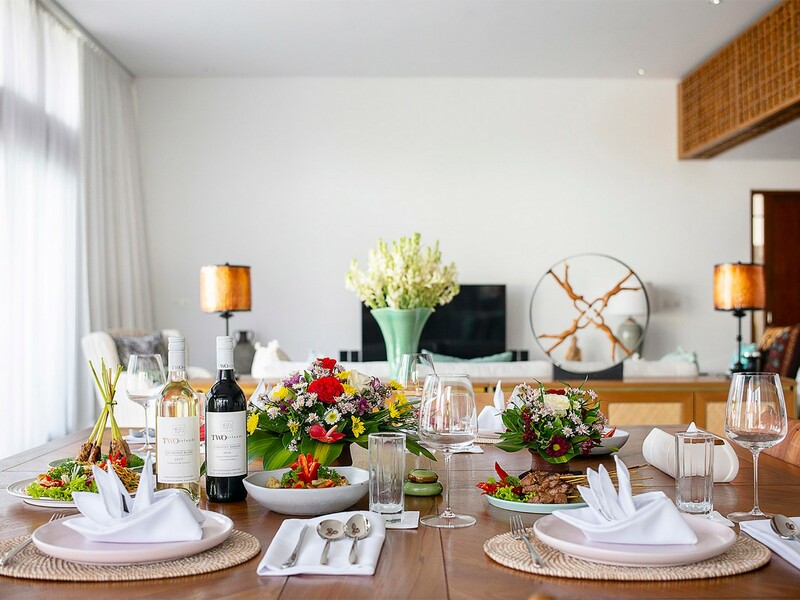 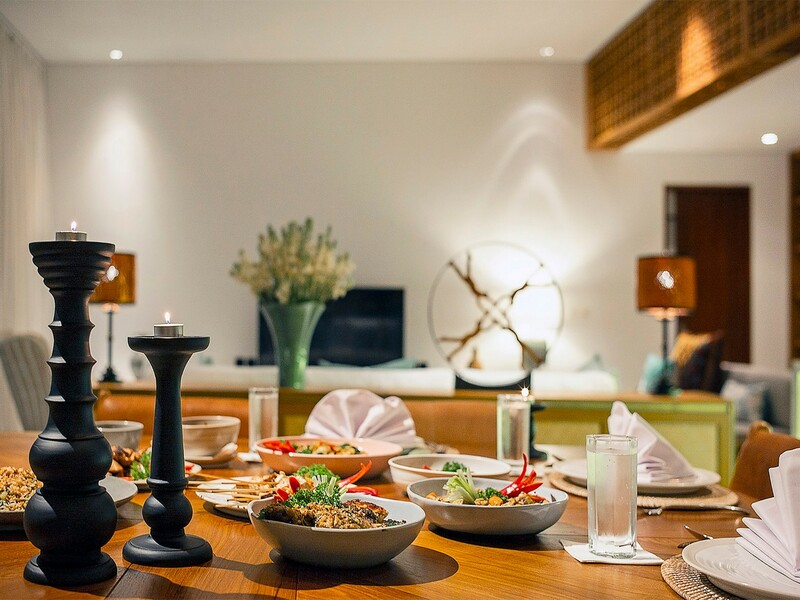 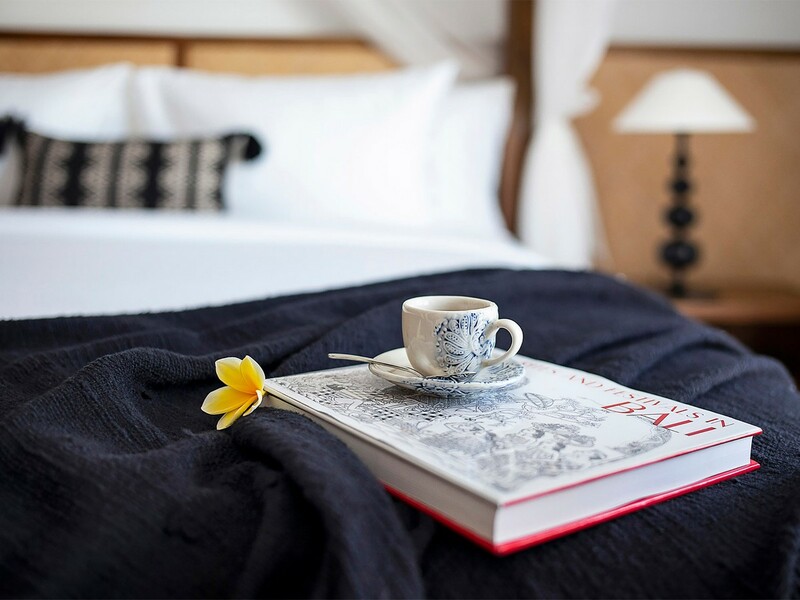 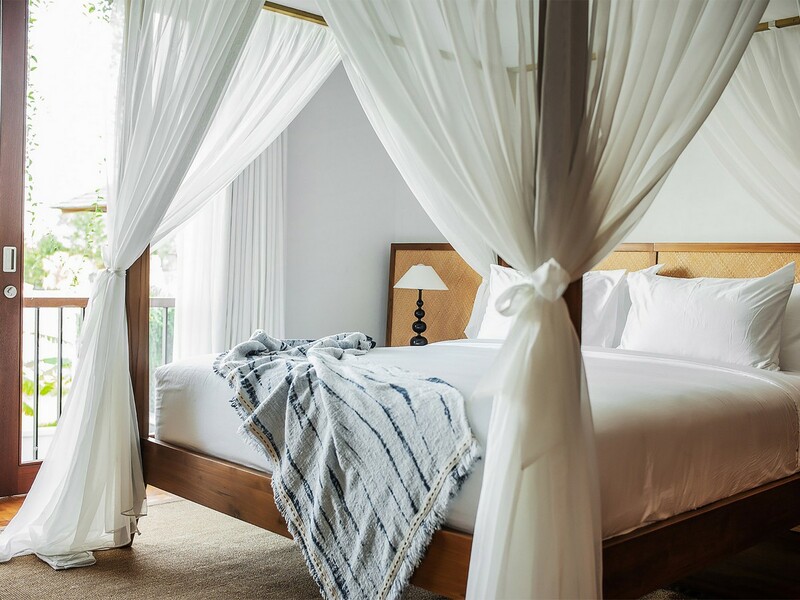 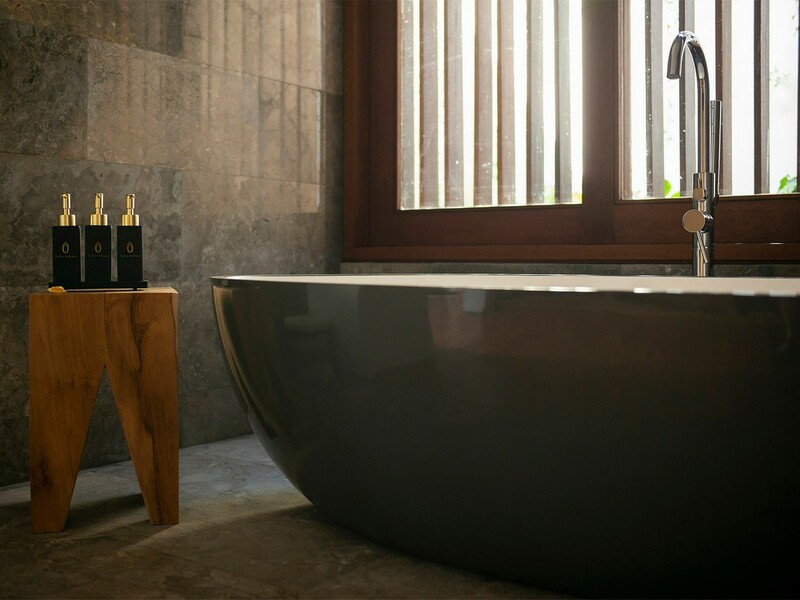 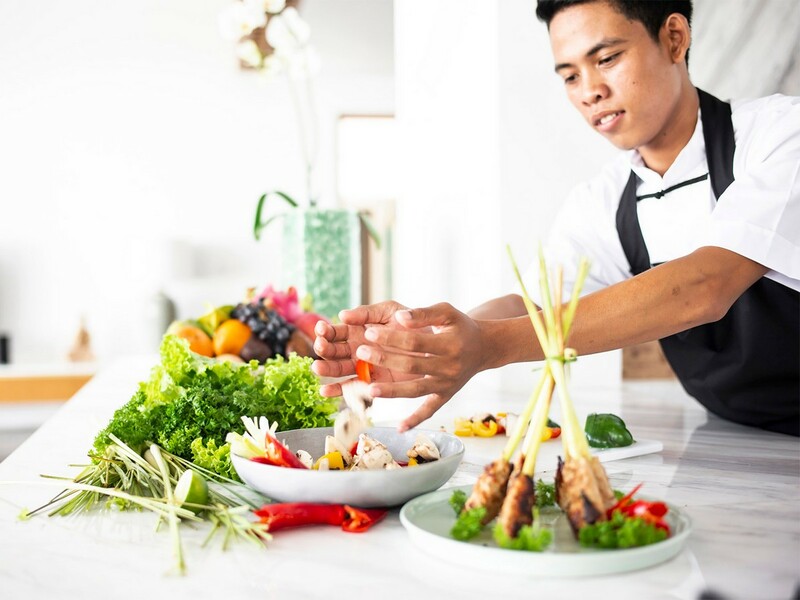 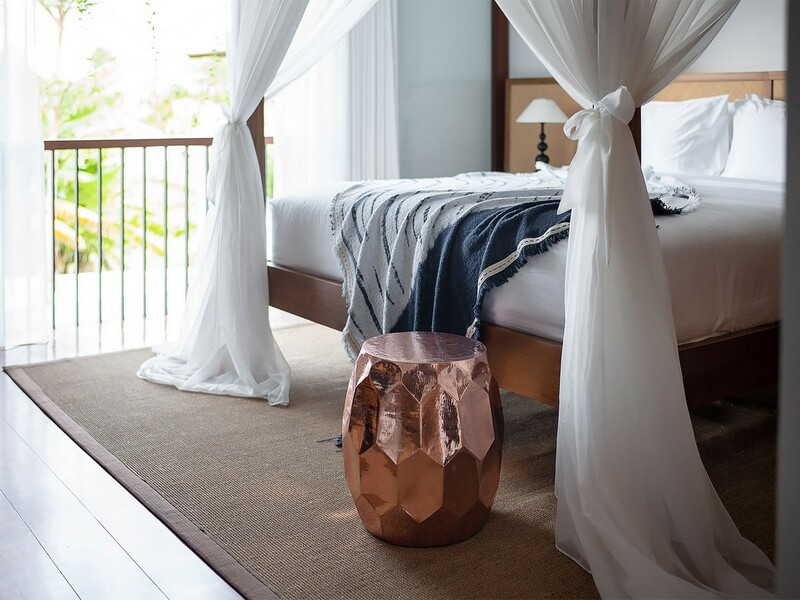 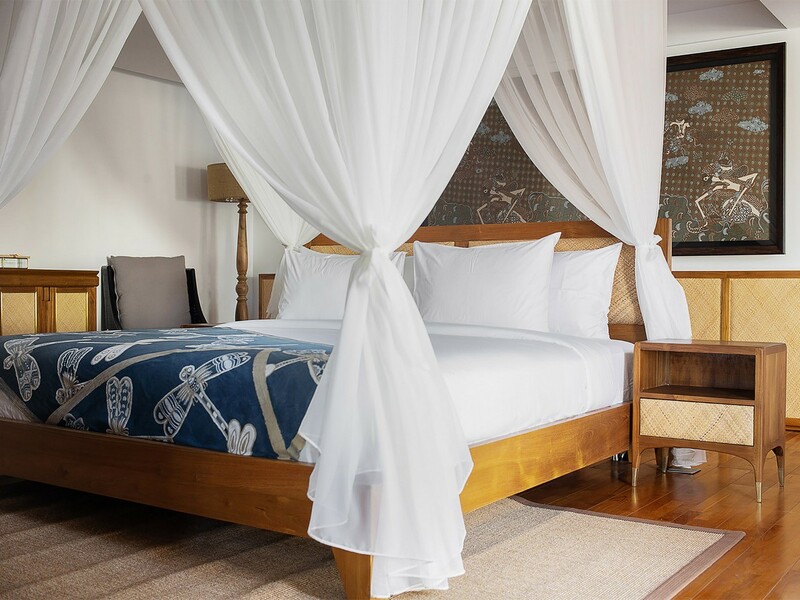 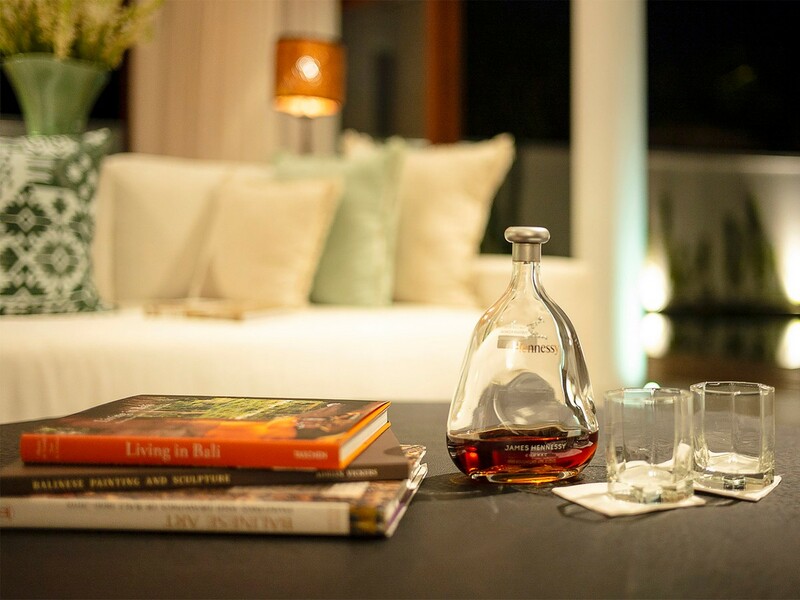 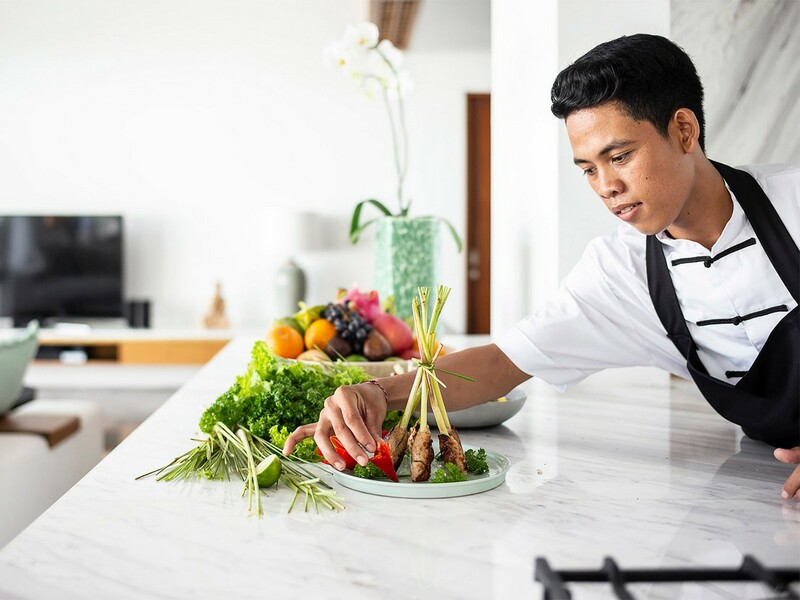 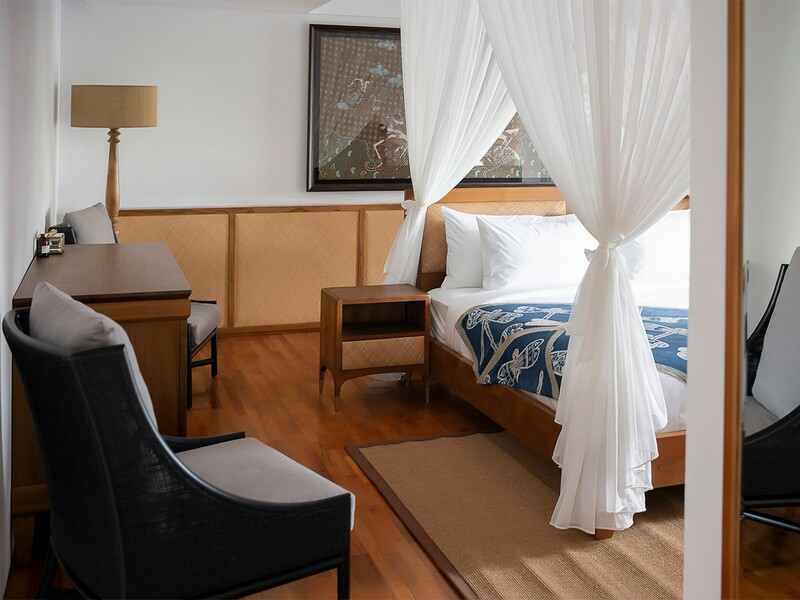 From butlers and housekeepers to security guards and a private chef, Villa Indrani has a full and highly qualified staff who will answer all your needs, whether to taste Indonesian food, sip a mojito by the pool or enjoy a traditional Balinese massage. 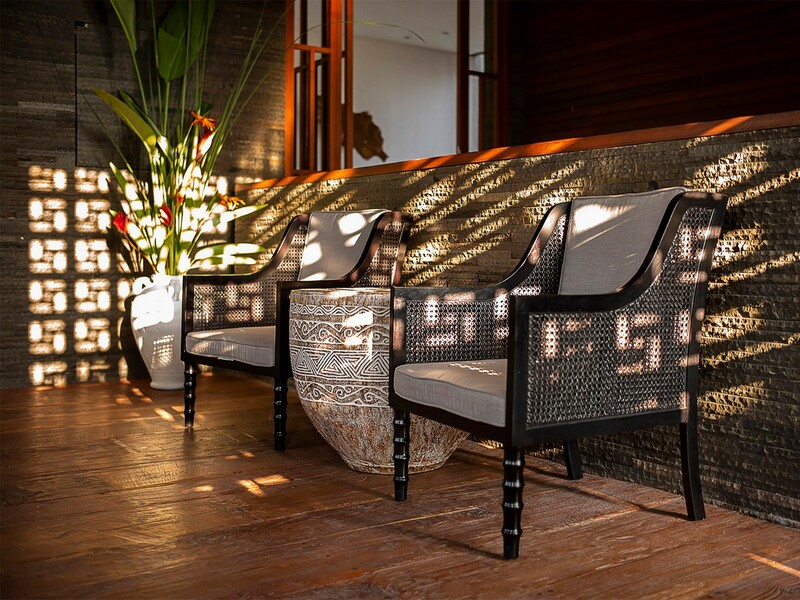 Sit back, relax and let the staff take care of everything. 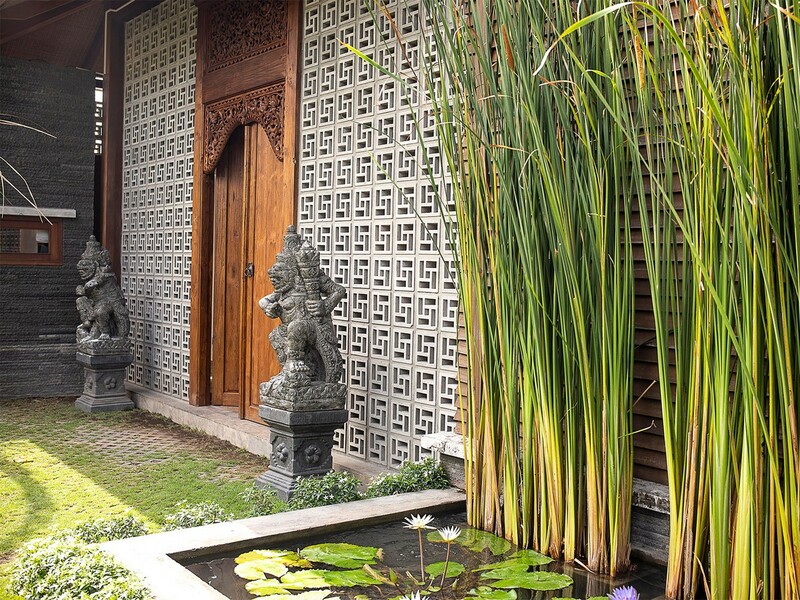 We will make sure that you will remember this memorable stay for a long time.